It’s Easter, It’s Coachella And Kanye West Is Bringing His Sunday Service To Town! 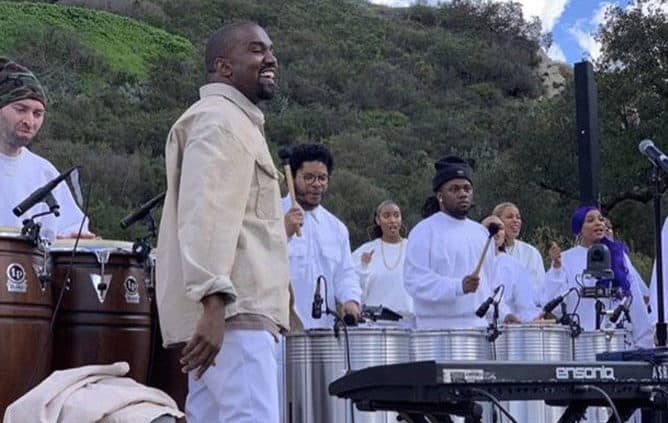 The Award-winning Rapper, Kanye West is bringing his ‘Sunday Service” Gospel choir to the Coachella Music Festival this Easter Sunday (April 21st). Kanye credits Chance, the Rapper for helping him return to Christ (read post) and now has a heart to share God’s love. “If you start thinking about love and start feeling love and thinking about forgiveness, then you can overcome things” he has said. “I think love conquers all! Kanye recently announced that Sunday Service will be at “the big show in the desert” and how he has been holding weekly performances to serve as rehearsals. “We were out in Palm Springs and they took us to a little campground because we were thinking about a little performance in Palm Springs, just a little one,” Kanye said in a clip shared by the festival. “Then they had a mountain, he had a mountain waiting for us,” Kanye added. “He had a date waiting for us. Only one date that mountain would be available to us: Easter Sunday at Coachella. That confirmation was confirmed last night,” Kanye added. Pray for Kanye and others who are using their fame to make a stand for God. Pray that he would raise them up as testimonies of His grace and may he inspire many others to rise up boldly in their faith.